When choosing a homeschool reading curriculum, you will need to decide if you want to use phonics or whole language instruction. Phonics teaches children to use letter sounds to form words. Children who have difficulty reading a word while using the phonics method will be encouraged to "sound it out". Whole language, or sight reading, teaches children to memorize entire words by focusing on their look or shape. Whole language instruction is also referred to as the "look/say" method. Children who have difficulty reading a word while using a whole language program are encouraged to look at pictures or use context clues to guess the word. Critics of the look/say method believe this type of instruction can produce bad habits that make reading difficult. For that reason, and others explained in the book, Why Johnny Can't Read by Rudolf Flesch, I will only discuss phonics-based homeschool reading curriculum on this page. Before beginning a homeschool reading program, your child should have plenty of exposure to books and other reading materials. Here are some preschool reading activities that will get your child ready to read. Make connections between print and the spoken word. I knew my daughter was ready to learn to read when she began pointing out letters, making up rhymes, "reading" books aloud to herself and asking me to point to the place on the page where I was reading. However, the most important clue that she was ready to read was that she came to me and said, "Mom, teach me how to read!" Don't be afraid to wait until you see signs of readiness to begin formal reading instruction. Children generally learn to read between ages 5 and 8, although some will learn earlier and some will learn later. For more information on delayed academics, read Better Late than Early by Raymond and Dorothy Moore. There are many phonics programs on the market that homeschoolers can use to to teach their child to read. Consider your child's abilities and learning style when choosing a homeschool reading curriculum. Do you want a colorful program or a simple black and white text? Do you want a multi-sensory program that includes flashcards, games, songs and movement or a simple textbook format? How much time do you want to spend on each lesson? Do you want the program to teach writing and spelling, as well? Choose a program that moves incrementally from letter sounds, to blending sounds into words, to reading words and sentences. Move slowly or quickly at a pace that is right for your child. Feel free to take a break from lessons if your child is becoming frustrated, or make changes to a program that is not a good fit. Here is some additional information about homeschool reading instruction. Alpha Phonics - This program teaches reading in 128 self-explanatory lessons in as little as 10 minutes per day. The program does not follow a classroom format and requires no teacher preparation. Explode the Code - ETC is a series of progressive workbooks that teach phonics and spelling rules. The workbooks contain simple instructions and fun activities, and are often used for review or as a supplement to other reading programs. Phonics Pathways - Phonics Pathways uses systematic, multi-sensory, user-friendly techniques that are appropriate for both younger and older students. Saxon Phonics - This program contains black and white, scripted lessons that include writing and spelling instruction. Saxon Phonics uses flashcards, worksheets, letter tiles and other multi-sensory techniques. Sing, Spell, Read, and Write - SSRW is a method of systematic, multi-sensory phonics instruction that involves songs, games, charts and storybooks. Spell to Read and Write - This program teaches children to read by teaching spelling and handwriting. Because it uses a different approach than many other phonics programs, it may take parents time to learn how to implement SRW. Teach Your Child to Read in 100 Easy Lessons - This popular phonics based program can be used with children as young as 3 to 6 years old. Because it is based on the DISTAR method of reading instruction, some letters in the reading selections are printed in nonstandard format. The Writing Road to Reading - This program is based on The Spalding Method. It combines instruction in phonics, spelling, handwriting and reading comprehension, and contains built in assessment that will help you move at your child's pace. 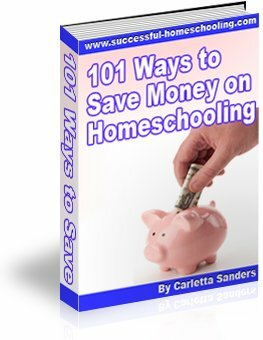 Although many parents find it helpful to purchase a homeschool reading curriculum, you don't have to use one in order to teach your child to read. Some parents teach their children to read using picture books and homemade flashcards. Others find it helpful to use resources like Leap Frog's Fridge Phonics Magnet Set and Talking Word Factory DVD, or the free Starfall computer program. Bob Books are another favorite among homeschool parents. You don't have to be an expert to teach your child to read. If you are patient and willing to experiment a bit, you will find a homeschool reading curriculum that is right for your family!